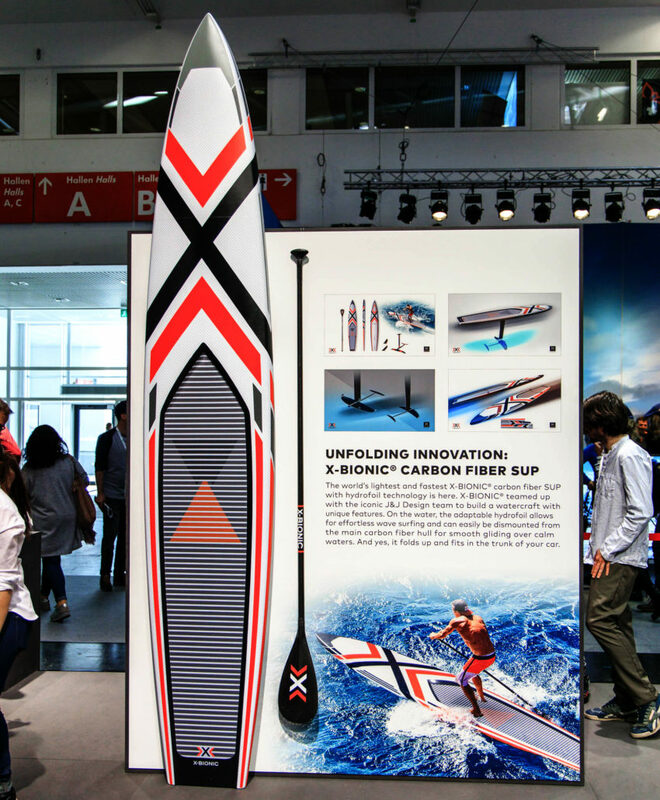 X-Bionic SUP presented at ISPO in Munich. Our office teamed with the iconic X-Bionic brand to present a new concept of Stand-Up- Paddleboard at ISPO in Munich, the world’s largest trade fair for sports business. The new SUP is super light, built in Carbon and epoxy technology, offers a variety of configurations to suit your paddling program and your physical ability (like foils..) and will, folded, fit in the trunk of your car. http://jnj.design/wp-content/uploads/2019/02/ISPO2019-0378.jpg 2020 1667 G B http://jnj.design/wp-content/uploads/2016/04/jakopin-design_net.png G B2019-02-11 15:45:532019-02-11 15:52:26X-Bionic SUP presented at ISPO in Munich.